Premium range FLOSO version of this product is also available, search for FLOSO. 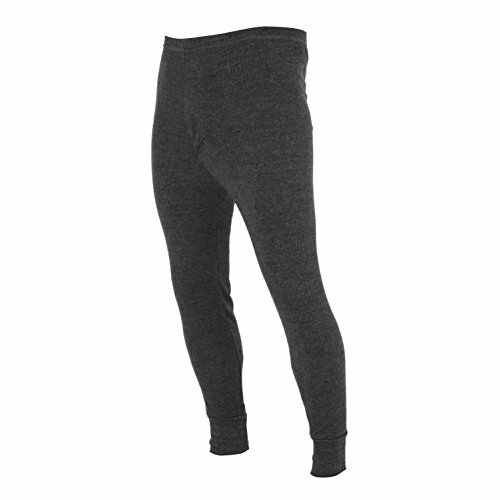 1 x Thermal Long Johns. Warm but light weight thermal underwear. Good wicking rate which is the rate the material carries moisture away from the skin. Fully brushed inside and side seam free for added comfort. 50% Cotton and 50% Polyester. Fly opening. Inside leg: Small (25 inch, 63cm), Medium (26 inch, 66cm), Large (27 inch, 68cm), XL (27 inch, 68cm), XXL (27 inch, 68cm).